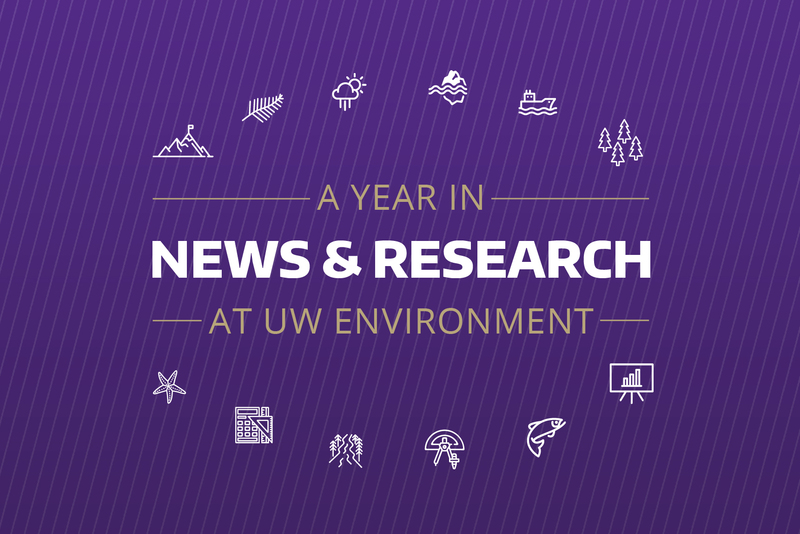 Looking back at 2018 at the College of the Environment. 2019 is quickly approaching, and with it will come a new array of probing questions to be examined and research to be rigorously undertaken. 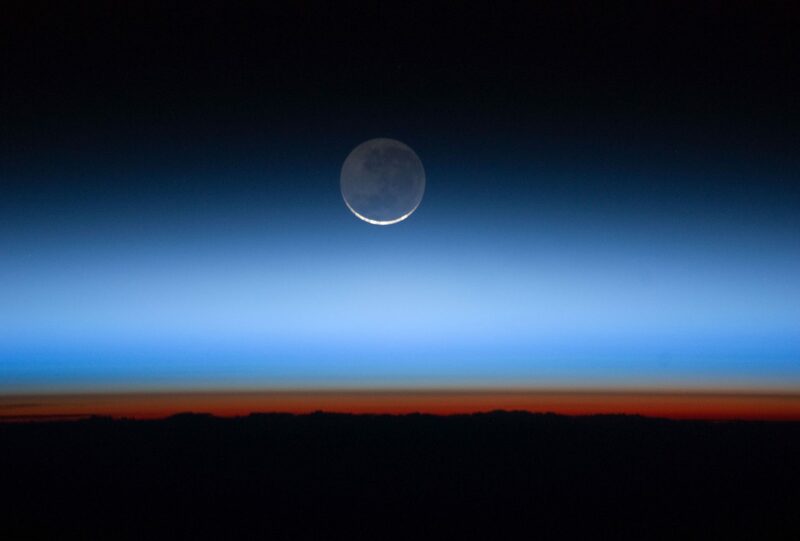 As the new year unfolds, we are excited to learn more about the Earth and its ecosystems alongside you all. 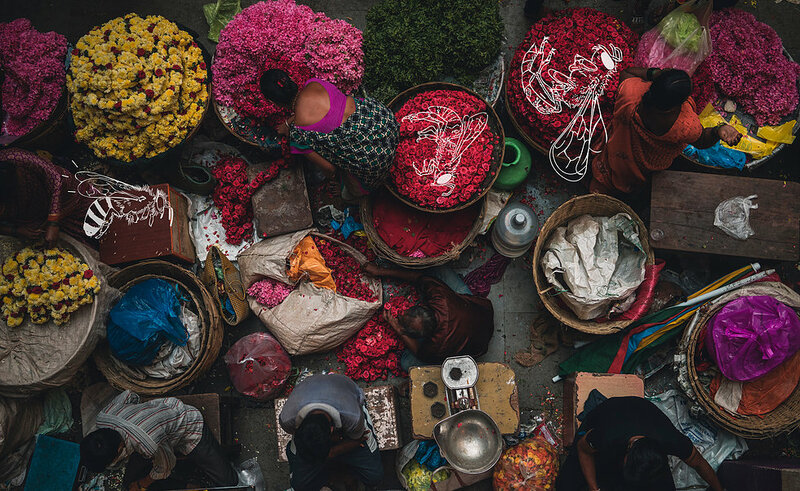 The new year will encompass new opportunities to grow academia’s capacity to communicate science outside of universities too, speaking directly to policy-makers, cities and communities, and individuals—a growing need in the fields we study. 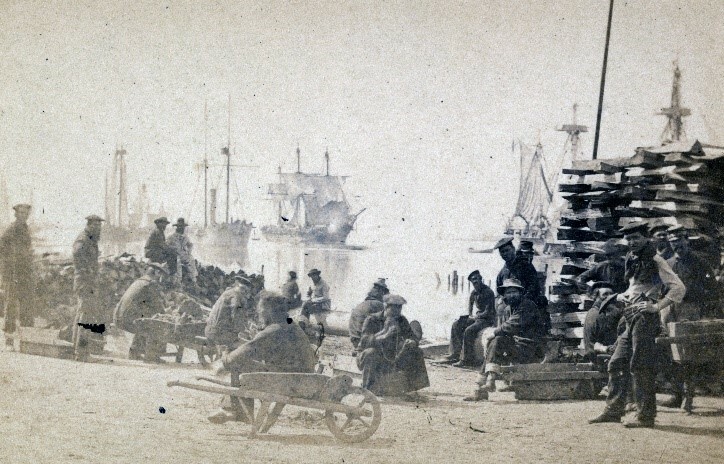 Coaling Admiral Farragut’s fleet at Baton Rouge, Louisiana, circa 1862. 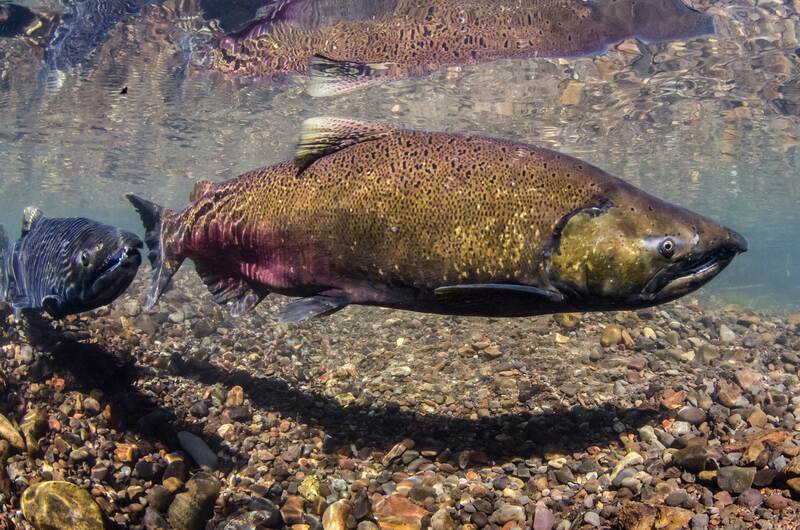 Chinook salmon, shorter in length than in earlier years, swim in Oregon’s McKenzie River. 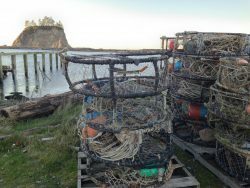 Crab fishing gear sits in port at La Push after a delayed opening season. 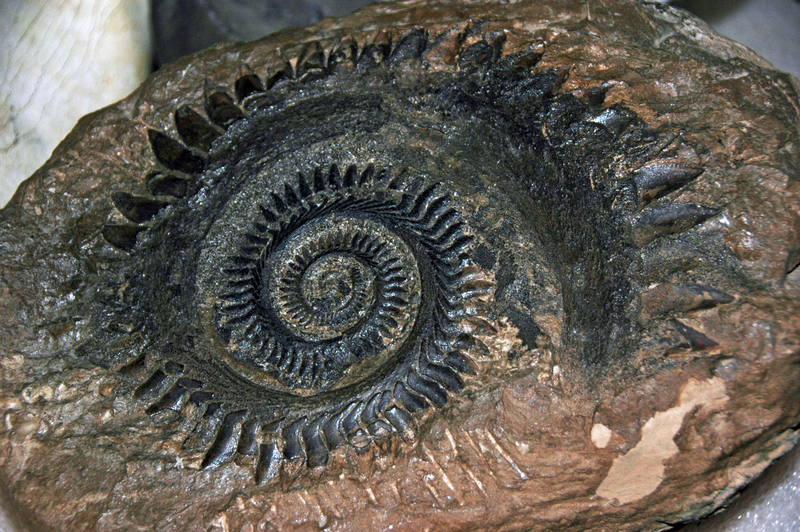 The study may also help shed light on what conditions were like during the early evolution of life on Earth. 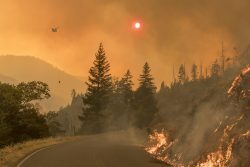 New research from University of Washington in April suggested a milder youth for our planet than what has often been cited. 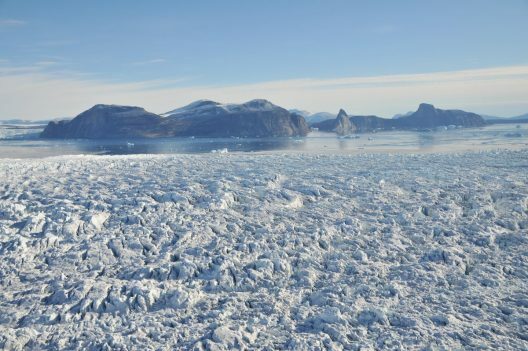 An analysis of temperature through early Earth’s history supports more moderate average temperatures throughout the billions of years when life slowly emerged from Earth. 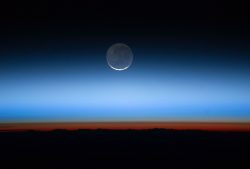 UW Earth and Space Sciences‘ David Catling said, “Ideas about the early Earth’s environment are all over the place… These simulations show that our early world had about the same average temperature as today, and a seawater pH within roughly one unit of neutral.” This research was (and is) good news for the search for life on other planets. 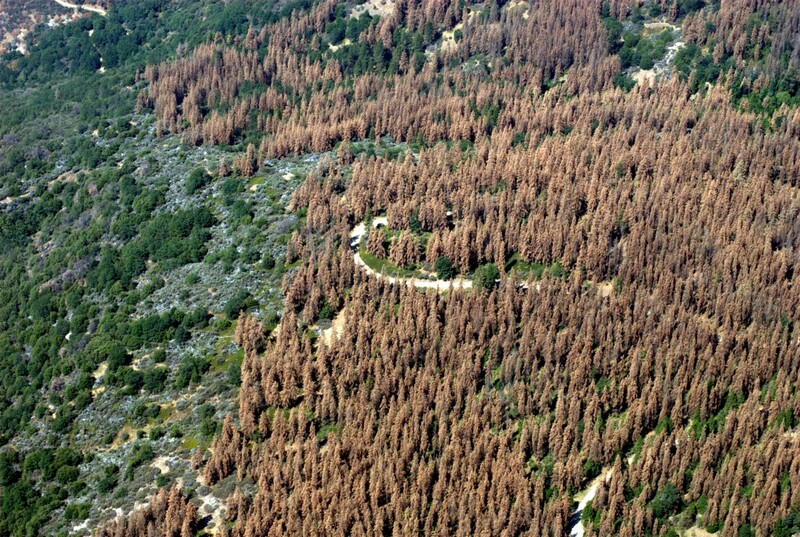 Widespread tree loss, like this 2016 photo of the Sierra Nevada Mountains, can affect plant growth elsewhere. 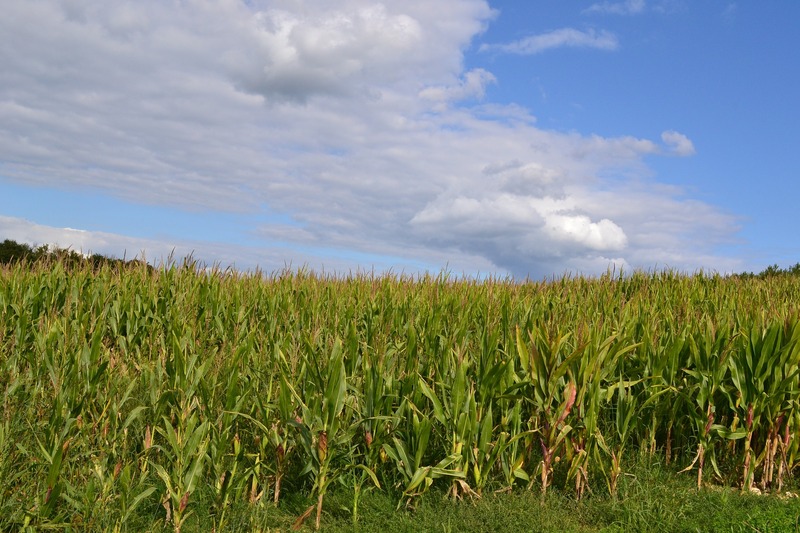 Corn is the most widely produced crop worldwide, used in many different ways and traded on international markets. 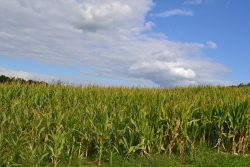 In June, new research looked at what climate change will mean for global yields of corn — the most widely grown crop in the world. The results showed that warmer temperatures by the end of this century will reduce yields throughout the world. It also showed dramatic increases in the variability of corn yields from one year to the next and a likelihood of simultaneous low yields across multiple high-producing regions, which could lead to price hikes and global shortages. 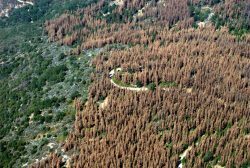 “We find that as the planet warms, it becomes more likely for different countries to simultaneously experience major crop losses, which has implications for food prices and food security,” said UW Atmospheric Sciences‘ Michelle Tigchelaar. 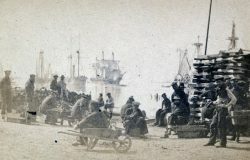 “You have to have people explore historical climate in order to understand the context of future climate,” said UW CIG’s Heidi Roop. In July, a report led by Washington Sea Grant and the Climate Impacts Group provided the clearest picture yet of what we can expect to see in Washington state in terms of sea-level rise on our coasts. 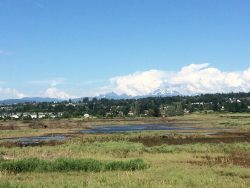 The report included projections for more than 150 sites in Washington, incorporating the geology-driven land motion. 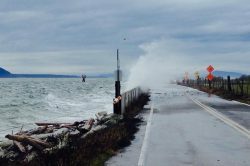 “One of the things we’ve heard from the planners we have shown it to so far is, ‘Hey, for the first time we have something that we feel is actionable,” said Washington Sea Grant’s Ian Miller. 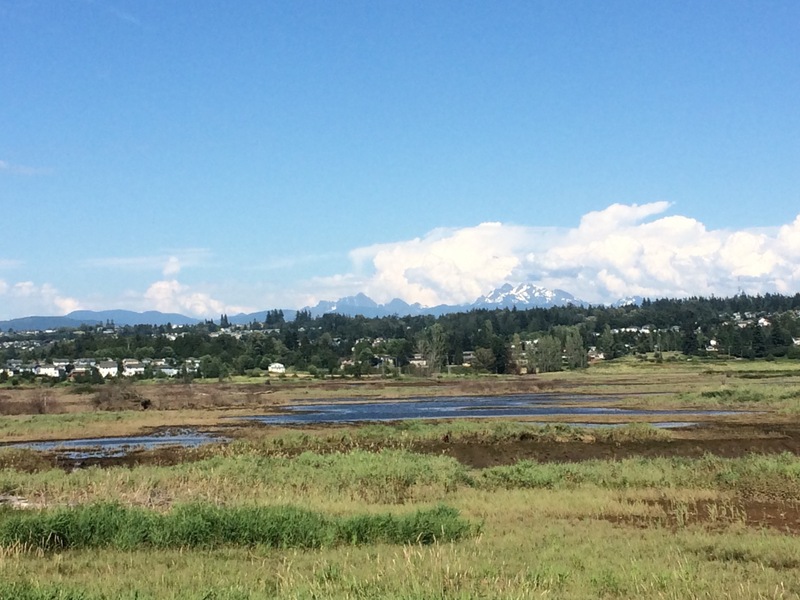 The Qwuloolt project, north of Everett, sought to restore the mouth of the Snohomish River by breaching dikes that had for years allowed the area to be used as farmland. Through surveys and interviews with residents, tribal members, boaters, and state and federal agency contacts, a team of UW researchers and their collaborators found that policies are shifting toward restoration projects that include input from more groups and offer a range of benefits to Puget Sound, including flood control, salmon recovery, recreation, and habitat protection. 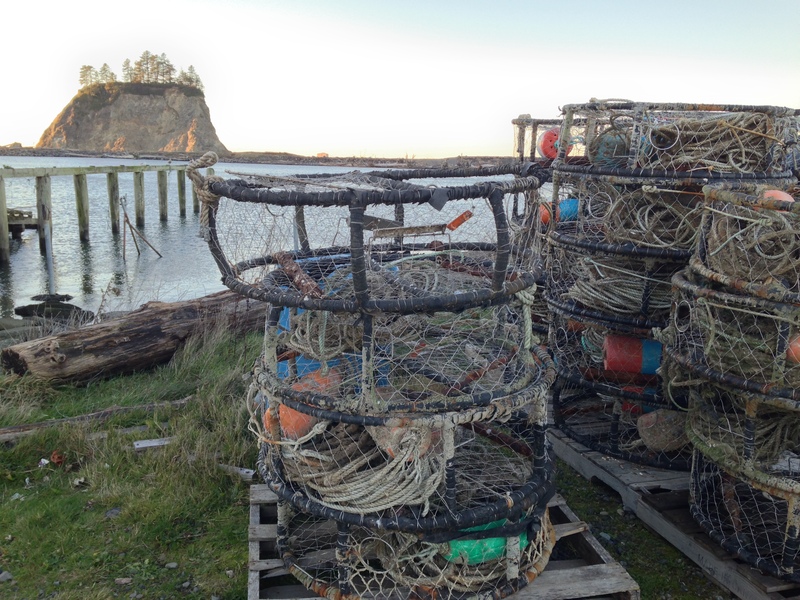 “Understanding how to manage resources in Puget Sound is going to require understanding how different social groups use and interact with these resources going back many thousands of years,” said UW School of Marine and Environmental Affairs and International Studies‘ Patrick Christie. 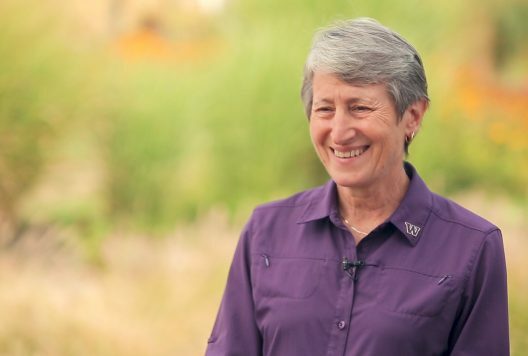 Sally Jewell, U.S. Secretary of the Interior under President Barack Obama and former CEO of REI, has returned to UW. In October, it was announced that former Interior Secretary Sally Jewell would be the volunteer advisory council chair for UW’s EarthLab initiative. Jewell’s lifetime of experience in business, nonprofits, government and the outdoors helps EarthLab connect University of Washington scholars with community partners to solve the world’s urgent environmental problems. 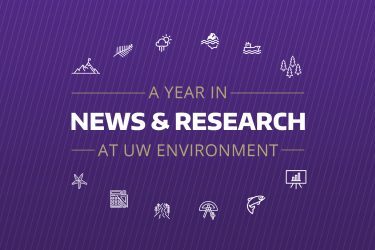 “By coming to the university, I’m trying to help students understand how you can create a future that’s both economically successful and environmentally sustainable — one that you are proud to leave to future generations,” said Jewell, who received her bachelor’s degree in mechanical engineering at the UW and served on the Board of Regents for 12 years. Firefighters respond to the Taylor Creek and Klondike fires in Oregon’s Rogue-Siskiyou National Forest in summer 2018. This fossilized spiraling shark tooth is from the Helicoprion, an unusual shark that lived during the Permian. The tooth whorl was located inside the shark’s lower jaw.